A Guest Post by Benjamin White, Founder of Crafty Counsel. We’re at an important time for the adoption of Legal Tech. Machine Learning, automation and other variants of AI technologies are not yet ubiquitous within In-House Lawyers’ working lives. 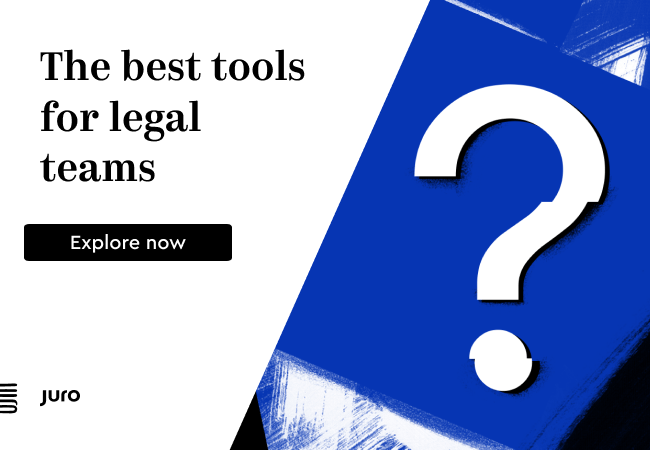 There are a number of In House Lawyers who are early adopters of these technologies, but a greater number who have only a superficial understanding of what tools are available. All this is likely to change, and quickly. Nobody thinks of Practical Law (PLC) or equivalent tools as innovations anymore; they’re just woven into our daily lives. This way, too, shall go many of the precocious Artificial Intelligence-powered platforms that are finding product/market fit today. As ever, change represents an opportunity for those alive to it: for In House Lawyers, for Tech companies, and for Law Firms. 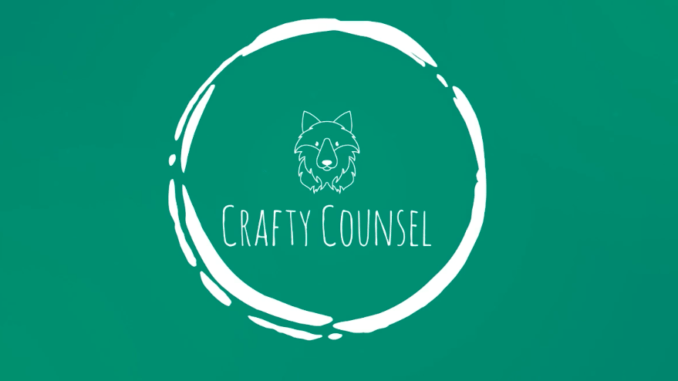 I founded Crafty Counsel in October 2017 to fill a gap in learning and development for In House Lawyers, drawing on my own experience of moving In House from Clifford Chance; we do this mainly by producing short video presentations and interviews with interesting presenters. Our original focus was on ‘black letter’ legal explainers and updates from law firms. While that is still a core part of what we do, I quickly found that we also have an important role to play in shining a light on wider developments relevant to our audience. And a lot of what I spend my days doing is speaking with In House Lawyers and to people who want to engage with them. Tech needs to be placed in the context of an In House Legal world that has itself changed a great deal in the past years, and will continue to do so. In some quarters there is still this view of In House Lawyers as lazy time-servers who could not cut it in private practice, and are now just waiting to be sold to by law firms and other service providers – ideally to avoid them having to do any work themselves. Of course, we all know some people like that. Just as we all know some rotten law firm lawyers. But if I look across ‘In House’ as a breed, that characterisation does not reflect the In House Lawyers who I’ve met so far on the Crafty Counsel journey. I keep meeting ambitious lawyers with impressive professional backgrounds who see In House as presenting more diverse challenges and a broader experience than their perception of the partnership track in private practice. And, while certainly not exclusive to the Tech world, this does seem to be particularly pronounced in the Tech and Start Up scene in the UK, where there is an incipient sub-culture of relatively junior lawyers taking General Counsel or senior operational roles and growing with their employers. ‘In House’ covers such a variety of organisations, industries and individuals as to risk generalisations becoming meaningless. But one pervasive phenomenon that I see is the move of In House Lawyers from being reactive to proactive. They’re not happy to wait and be pitched at, sold to, invited to things. Instead, they are auditing their own and their organisations’ requirements, identifying the gaps, and moving to address them. Look at Travelodge adding the legal services marketplace Lexoo to their legal panel alongside traditional law firms. Look at the rise of CLOC and the Legal Operations movement. Look at the number of Directors of Legal Operations now in post! Look at networking groups like Disruptive GCs, which adeptly gained media attention at its launch, and has law firm partners competing to provide them with bespoke training. Look at the interest in design theory in Law, and other borrowings from other industries. That’s just what is going on in the public domain – I also keep meeting individual In House Lawyers and Legal Ops professionals behind the scenes who are proactively reimagining the requirements of their Legal Departments, and bringing their law firms and others with them. This is all to put Legal Tech (and specifically AI) in context, which is as one of the tools In House Counsel possess to change the way the Legal Department operates. The Tech should be serving the strategy, as opposed to being a substitute for a strategy – it doesn’t always work like that, but the best In House teams frame Tech accordingly. With that context in mind, here is where I do see Legal Tech as providing some big opportunities in the near term. For lawyers, whether In House or in firms, there’s clearly a near-term opportunity to accelerate and improve the accuracy of high volume, high churn, repetitive tasks. Think of a company auditing the personal data it holds as part of ongoing GDPR compliance; contract review in M&A due diligence; disclosure exercises in litigation. These use cases are so well known as to almost be clichés. We all know of examples of these technologies already being commercialised and deployed – albeit, still far from mainstream. As these technologies do become more mainstream, the interesting question is: what behaviours will this drive? I doubt that In House Lawyers will tolerate law firms that offer up these technologies as novelty items to be admired on transactions, in the same way that In House Lawyers have never been particularly interested in whether a firm is off-shoring some more commodity aspects of a transaction to a low cost service centre. They care about the output, not the input. And achieving better output requires proper integration of technology into a transaction and its workflow. Where I do see a huge opportunity is how proper integration of Legal Tech into transactional work may improve the accuracy of fee estimates and, indeed, change the way that law firms bill. That’s not a grubby point about haggling over a bill. Accuracy and perceived fairness in fees goes to trust and the personal relationship between two individuals. It’s fundamental to the law firm/client relationship. The part of a complex transaction most prone to fee over-runs is often the most labour intensive. Who has not experienced the pain of an M&A deal’s fees reaching the stratosphere thanks to two, four, six weeks of additional due diligence as the timeline slipped and an under-supervised and eager crew of trainees continued to beaver away in the data room? Fee predictability remains a huge area of tension between In House Counsel and law firms. The core question is, who should take the risk on a deal not developing as it was predicted to at the outset? Is it the client, who has the relevant facts about the business and transaction, and arguably is better placed to drive the overall deal timeline? Or is it the law firm, who executes multiple similar deals every year and whose core expertise is understanding how these deals play out and delivering them? The traditional model of the billable hour softened by a non-binding estimate clearly leaves the client taking that risk. Which is why clients hate that model. Automation should be able to take out or minimise the parts of a transaction currently most exposed to changes in its fact pattern, such as the deal taking longer or more jurisdictions being in scope. Suddenly, both sides are less exposed. And that’s before we look at the ways that Legal Tech can allow law firms to mine their existing data on past transactions to better predict the true cost of a project (check out what Digitory Legal, one of the MDR Lab 2018 cohort, are doing in this space, for example). Tech will not only leave the (internal and external) lawyers focusing their energy and insight on the most valuable topics. It’s also going to allow firms to charge for that value, and not bill on a cost-of-time model. A flat fee for M&A or complex litigation every time, no quibbles? That’s a huge competitive advantage. Increasingly, I meet founders of Legal Tech companies who are either exclusively focused on the In House Legal market or seeking to increase their efforts in that market. One assertion I sometimes hear is that General Counsel are easier to sell to than law firms, because the nature of partnership structures makes firms slow and hard to crack. I don’t have the data to judge either way, but I am sceptical. My experience is that General Counsel are being “sold to” by multiple service providers on a constant, rolling basis, and don’t particularly enjoy the experience. Moreover, the procurement processes in larger companies can be excruciating and I am sure could compare well with the law firm sales cycle for despair-generation levels. But, perhaps some General Counsel are showing themselves more nimble on Law Tech purchases than their law firm brethren. I am more inclined to agree with the notion that In House Counsel have specific problems for which more outside counsel is not the answer, but Tech could be (alongside thoughtful integration and the right culture). That many ambitious and curious In House Counsel recognise this. And that, crucially, judicious use of Tech could generate significant cost savings. My advice to Tech Firms wanting to work with In House Counsel? Address a genuine pain point, which means understanding your customer. And then, help them to help themselves. Do they understand what are the problems they need to solve? 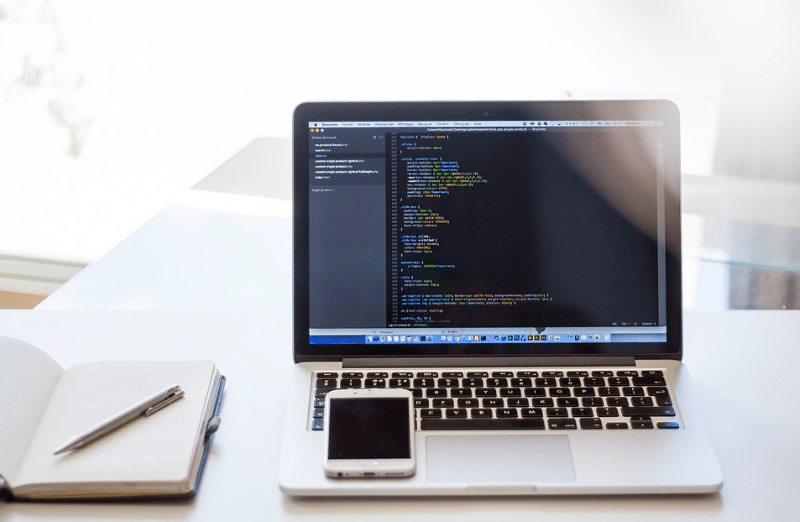 Is your Tech the right solution to those problems? Don’t sell Tech for Tech’s sake. You need to be prepared to dispel the memory of bad experiences with failed IT integrations seven, eight, nine years ago. Have case studies. In House Counsel are still a pretty risk averse breed. They want to know that your product worked for someone else who they respect. For the same reason, be prepared to run a pilot on lower value, lower risk projects or processes. Don’t focus on General Counsel to the exclusion of more junior lawyers in the team. The General Counsel may be the ultimate decision-maker, but her time is stretched and she may be removed from the problem; the juniors will be in the front-line and will advocate for your product if it helps them. One of the biggest struggles for In House Counsel is justifying the existence of the Legal team, down there at the ‘overhead’ end of the business’ P&L. Everyone sort of knows that the business needs lawyers. But, how many, and paid how much? Lawyers continually struggle with articulating their value. What’s the price of reduced risk? How much was it reduced by? What do the lawyers do all day, and did it help anything? Why does the budget need to increase? Would anything actually happen if it halved? Legal Tech tools that help a General Counsel or Legal Ops Director to measure activity and performance should allow data driven conversations with stakeholders like the CFO or CEO. For example: Lawyer utilisation and retention, contracts reviewed and updated, time taken to close a negotiation, touch points with other business functions and “non-legal” projects, and specific measurable “wins” in transaction negotiations or litigation. At what price was it rational to settle this litigation, based on past data – and what was the upside captured through the successful settlement negotiation? How can we model a price for our exposure to GDPR based on the sensitivity of the data we hold and comparisons to competitors – and what does that look like after our GDPR implementation exercise completes? If you’re interested in these topics, check out some of the videos on our website, with speakers such as Jimmy Vestbirk of Legal Geek; Jennifer Millins of Mishcon de Reya; and CEO of the Legal Services marketplace Lexoo, Daniel van Binsbergen, plus many more focused on everything from corporate governance to employment law.